The story of a woman's struggle for independence from an abusive husband. Helen 'Graham' has returned to Wildfell Hall in flight from a disastrous marriage and to protect her young son from the influence of his father. Exiled to the desolate moorland mansion, she adopts an assumed name and earns her living as a painter. Gilbert Markham, a local man intrigued by the beautiful young 'widow' offers his friendship but becomes distrustful when her reclusive behaviour sparks rumours and speculation. When she offers her diary for him to read only then does he discover the dark truth of her shocking past. The second and last novel written by Anne Brontë, the youngest of the six Brontë children, The Tenant of Wildfell Hall deals with alcoholism, physical and emotional abuse, unhappy marriages and adultery. Anne's novels are distinctly different from that of her sisters, filled with gritty realism. After her death, Anne's sister, Charlotte, prevented its republication perhaps due to her belief that it was overly graphic and an 'entire mistake'. Despite first being published in 1848, The Independent described it as a 'frighteningly up-to-date tale of single motherhood and wife-battering.' 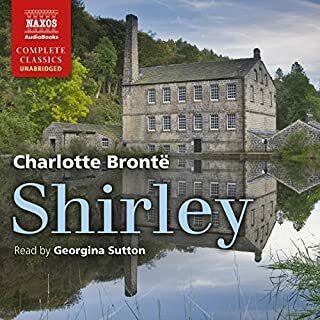 It is considered one of the more shocking of the Brontë stories and due to Helen's breaking of social convention and law holds firm as one of the first feminist novels. Three-time Olivier Award winner actor Alex Jennings is known for portraying Prince Charles in The Queen (2006) as well as appearing in Bridget Jones: The Edge of Reason (2004), Babel (2006) and The Lady in the Van (2015). His television work has included Cranford (2007), Silk (2011-2014), and Victoria (2016). 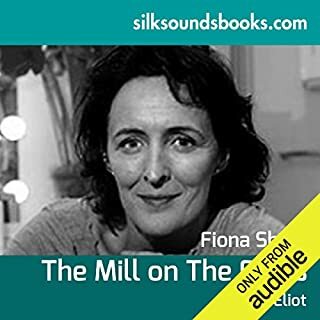 He has narrated many audiobooks including Charlie Connelly's Attention All Shipping, which in 2008 was chosen as one of the top 40 audiobooks of all time. Jenny Agutter began her acting career as a child in 1964's East of Sudan and is well known for appearing in three adaptations of The Railway Children. She starred in the critically acclaimed 1971 film Walkabout as well as receiving a string of Hollywood roles. She won an Emmy for her role in The Snow Goose (1971), as well as a BAFTA for her role in Equus (1997). More recently she has appeared in several television dramas, including Spooks (2002-2003), and Call the Midwife since 2012. She has performed in numerous theatre productions, including roles with the National Theatre and the Royal Shakespeare Company. 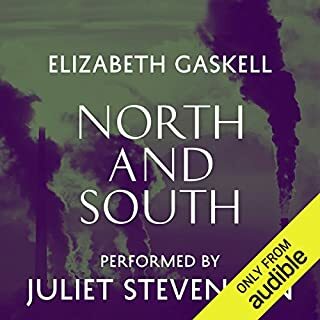 She has also narrated audiobooks Dodie Smith's I Capture the Castle and Jane Austen's Emma and featured in the Doctor Who audio dramas The Bride of Peladon and The Minister of Chance. In 2012 she was appointed OBE for her charity work. Another book I studied for English Literature. I liked this one! 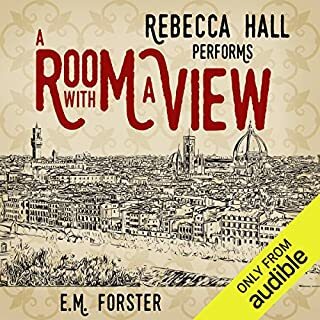 I liked the fact that two different narrators were used: one for Markham and one for Helen. Jenny Agutter excels. Very enjoyable. My only criticisms are you can hear a tiny bit of background noise very briefly, but it is acceptable. Also, at the part where Markham starts to narrate again, one has just got used to J.A's reading which is superior, and I don't feel he did justice to their agonising meeting. This rather spoilt it for me. I think it would have been better to dramatise it with the two readers at that point. Other than that this is a fine narration. Yes. It's a good story. Unfortunately several parts of the narration were inaudible due to low volume. When Alex Jennings was speaking some of Helen's dialogue he did it in a whisper. No doubt this was for dramatic effect, however without increasing the volume it is inaudible. This is irritating and inconvenient. This is by no means a criticism of Alex Jennings narration, it is a criticism of direction/production. An old favourite, beautifully rendered. Thank you so much, I really enjoyed listening. I am sure you will too. A brilliant novel! So modern in thought, Anne Bronte really know how to write fantastic female characters. 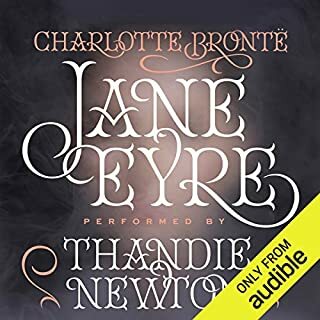 Best of all the Brontes? A gem. I've read the better known Bronte novels by each sister, but I was utterly bowled over by this. It is storytelling at its best, and Alex Jennings has the perfect voice and tone for it. Jenny Agutter does her part well too but Jennings is faultless. This should be on any creative writing curriculum as an exemplar of pace, plot, characterisation, local colour, context, brewing romance, suspense, twists and turns, and the masterful and vivid use of the English Language. It's an absolute gem. Well read by both narrators. They brought the book to life and transporter you there. 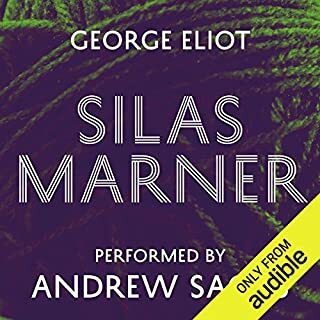 I'm fairly satisfied with this novel and may listen again when I have the time. This book has been on my read/listen list for many years. 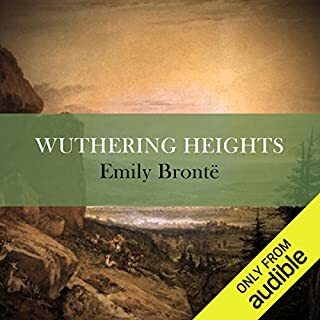 I have recently been using Audible to get me through some 'classics' that I've avoided in the past so this was one of these books. I enjoyed it just enough to give it 3 stars, a low score for me, though I rate the reading as 4 star value. 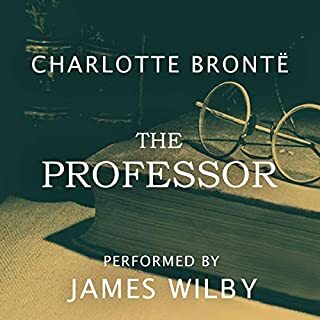 I understand that it was a ground-breaking work when it was written and I did listen to it in that context, but I simply didn't enjoy it as much as many of the classics I've been catching up on recently. It lacks the humour of Dickens and the depth of Trollope, for example. I wasn't fully engaged by any of the characters and the plot is weak - even halting. There is too much moody striding about on the moors for my taste, but without the compensating Wuthering passion - the drama fizzles out. The end is trite and far from feminist even by the contemporary standards of the day. 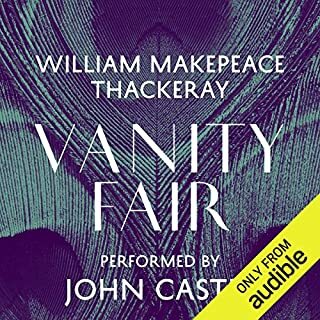 The narration by Alex Jennings is faultless and lifts those parts of the recording. That by Jenny Agutta is perhaps not as good but her reading did somehow suit the subdued - borderline boring - persona of her character. So I think they both made the most of what they had to work with. This narration saves the book from being too dull to go on with. I am quite glad I listened to it, though once or twice I considered just starting something new. It has filled that 'gap' in my reading history. My mind tended to wander off here and there but it didn't matter - I didn't miss any crucial action. I would not really recommend this listen - but it's not terrible. Despite being lesser known than her sisters' works, "The Tenant of Wildfell Hall" may be the best of the Bronte books. Anne is a good writer; terrific at description, and there is humor here and richness of character development. I really loved this listen. The story is long and, I will admit, tedious at times (it's a Victorian novel after all! ), but this edition of the audio book has handled the strange structure of the book very well. Both Alex Jennings and Jenny Agutter render their portions of the narrative beautifully. A word of warning, however. This claims to be an Unabridged version, but it is not so. Because I was listening to the book as a book club assignment, I followed along with the written version and found some puzzling omissions. Just why they chose to abridge some parts -- especially in the central, diary portion of the book -- I can't imagine. The cuts are small and not terribly important, but nevertheless are there. Anyone wishing to experience the entire work should be aware of the abridgment. But it's a fine trip! I'm very pleased to have learned that there is more to the Brontes than "Jane Eyre" and "Wuthering Heights". This is an inspiring and beautifully written book and one I will probably re-read, as fresh today as when it was written over 150 years ago; English prose at it's height. The narration is as well superb. This ranks with Jane Eyre as one of my all-time favourites. This under-the-radar Bronte book is a cautionary tale. It is wonderfully narrated by both narrators. It is an important book and stands easily with Wuthering Heights as a study in unfortunate marriage. It makes one long to read the definitive Bronte biographies. Good reading for all women considering marriage. I never read this book as a teen or twenty-something. Enjoyed it so much, I just read (listened to)it twice - back to back. Was a little slow starting out the first time around, but then I was hooked. Beautiful story-telling, surprises, romance, folly of youth, good vs evil, mystery, feminism, spousal abuse, double standards are all elements found in the remarkable book. Some of the themes must have been shocking when it was published in 1848. 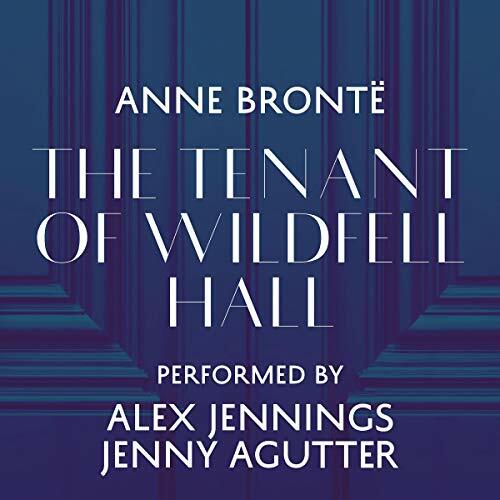 What did you like best about The Tenant of Wildfell Hall? What did you like least? The best thing is that the original book is excellent. The reading is missing a number of chunks of the book. I became extremely annoyed and just read the book. I feel cheated. I was perfectly willing to avail myself of this permission,....for I had not much that was pleasant to communicate. Chapter 37 has been excised almost in its entirety. 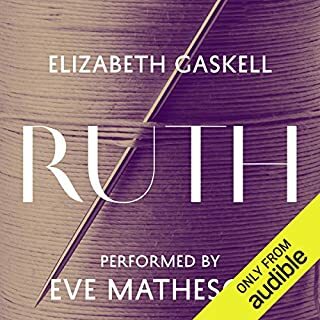 At this point, I gave up on the Audible book, feeling quite cheated. Certainly, if more Audible books are trimmed in this way, I will announce this fact widely. 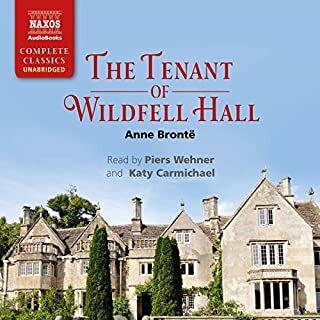 Would you listen to The Tenant of Wildfell Hall again? Why? Yes. The narration was so compelling--Alex Jennings and Jenny Agutter complimented one another perfectly. That alone will bring me back to this rendition. But the story itself is also very compelling. It is a shame that it is often overlooked by modern audiences. Ironically, the issues it addresses are more relevant today than many other highly praised gothic novels. What other book might you compare The Tenant of Wildfell Hall to and why? 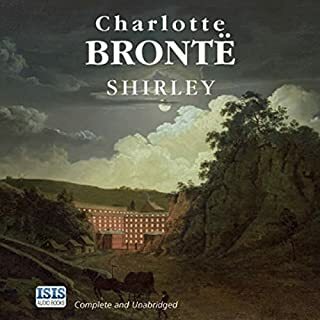 In my mind, it is on equal footing with the more highly touted books of her sisters, Emily & Charlotte Bronte (Wuthering Heights and Jane Eyre). Gilbert Markham, a very human hero, for his acceptance and support of Mrs. Graham and her young son in spite of the community's turning against her, and for his patience. Which character – as performed by Alex Jennings and Jenny Agutter – was your favorite? Alex Jennings as Gilbert Markham. Mr. Jennings was a wonderful narrator. 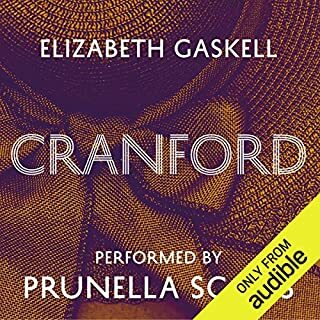 Until The Tenant of Wildfell Hall, I had only listened to books with female narrators, and, I have to admit, I wasn't sure if I would like a male narrator speaking the female dialogue. But his voicing of the female roles, even Helen Graham, was subtle and well-done. 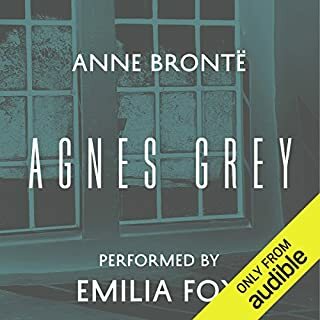 Jenny Agutter's narration of Helen Graham's letters in the middle of the book was just fine, but she didn't distinguish between the characters as much as Mr. Jennings, and sometimes her narration was just slightly clunky, thought still very fine once I got used to it and when I was immersed in the story. If just Mr. Jennings had narrated, I would have given the performance 5 stars. No - too long for that! 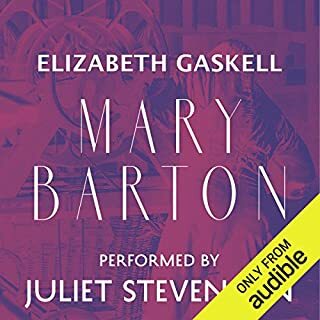 I've read The Tenant of Wildfell Hall and the BBC adaptation is one of my favorites, so I looked forward to listening. 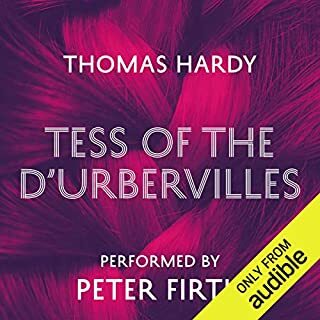 I hadn't remembered the way the BBC series departed from the original story, and not having read the novel for a number of years, the audiobook was almost new to me in parts! 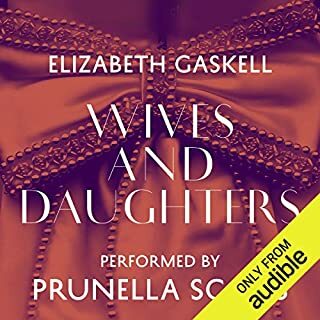 This is another great audiobook - recommend it to fans of the Bronte's novels. I do like to revisit that classics but this one was a first visit. And . . . I liked it! Good characters, pleasant times, and good writing. If you do not expect too much and you like classic victorian England, you will enjoy this one.